Annette is a well known name at Sydney Adventist Hospital. She worked at the Hospital for 45 years, including 8 as Nursing Executive Officer. She also led 18 individual Open Heart International teams, most notably to Fiji (12), and also to Vanuatu (3) and Tonga (3), as well as additional pre-planning visits and one trip to Nepal. Retiring in 2011, she still sits on the Open Heart International Steering Committee, and plays a valuable part of the continual shaping and direction of the organisation. 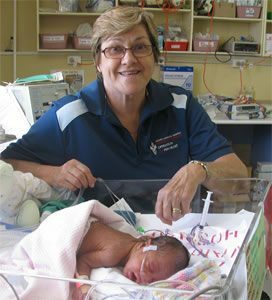 In 2012, Annette received a Member (AM) in the General Division for “service to nursing as an administrator, and through contributions to health care outreach programs in the South Pacific and to nurse education”.